As a part of our “Benefits of Modular Home” blog series, we’re exploring the factors that make modular home buying so popular — and practical. We’ve already covered the diverse floor plan options from which you can choose if you build a modular home, and now we want to focus on inspection and housing regulations. If you’ve ever bought a traditional home, you know first-hand the headache of home inspection. The scenario usually follows this plot: you find a house that’s in your price range and immediately want to put an offer on it. You negotiate a price, and then you go under contract on the home. All that’s left is for the home to pass inspection. You cover the cost of the inspection, only to find out that the home’s foundation is sinking; that black mold has found a home in the basement; or, that the home requires a laundry list of repairs for it to be move-in-ready. Thousands of dollars and hours later, you might have a home. Or, you might have to begin the process all over again depending on the severity of the home inspection findings. Either way, it’s a stressful process. If you’re tired of the hassle of home inspections, your better solution is to buy a modular home. 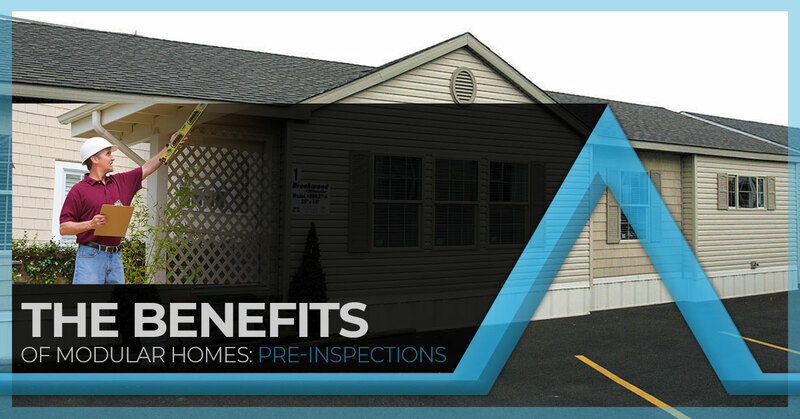 Indeed, modular homes come pre-inspected and adhere to stringent building guidelines. When you purchase a modular home, you never need to worry about the roller coaster ride of home inspections again. Modular homes must comply with the same building codes of in-site homes; if anything, standards are more stringent thanks to the factory-based building environment. It’s also important to keep in mind that you’ll be the first owner of a modular home you build. As such, you don’t need to worry about water damage that might’ve occurred, owners who might have neglected the property, or a foundation that’s sinking into itself. You can control all aspects of the home building process, so you take the guessing game out of home building. As the Top Rated Local® modular home builder in Southern Illinois, Cannon Homes Inc. is committed to building high-quality modular homes. Not only do all of our homes meet the strict building and inspection requirements of Southern Illinois, but they are also incredibly nice. Throw whatever misconceptions you have about modular homes away — see the quality of our homes by checking out our homes on display and floor plan options. To learn more about the modular home building process or to build the home of your dreams, give Cannon Homes Inc. a call today!